First published in 1934, this bookcovers a broad array of ancient Greek literature, taking into account the most acknowledged of the Greek authors as well as those less well known. H. J. 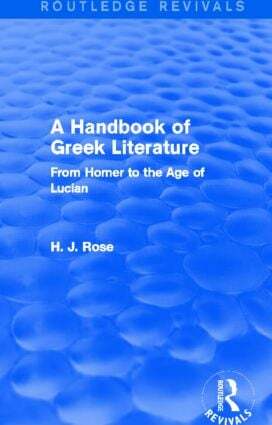 Rose presents the latest findings of the time in terms of research into Greek literature and covers subjects from Homer, Comedy and Poetry, to Philosophy, Science, and the Empire.